‘Premier’, ‘Leader’, and ‘Excelsior’ were the first steam locomotives on the line, which had relied on horses up until then. They were a stock item in the Kerr Stuart catalogue. Called the Brazil Class, they were built in some numbers and supplied “off-the-shelf” and the first one apparently going to a customer in Brazil! 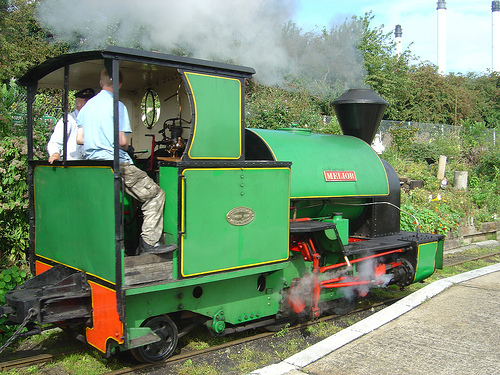 On the closure of the Bowater Railway ‘Excelsior’ was bought privately and went to the railway at Whipsnade Wild Animal Park, where she is still in use today. A fourth locomotive of this type named ‘Melior’ was delivered in 1924. Premier was built new for the line. She saw more or less continuous service until 1994, when she was withdrawn. This locomotive is expected to be out of traffic for some time waiting attention unless further volunteer help is forthcoming. In addition, a considerable amount of money needs to be spent on Premier as she needs a new firebox. Apart from cab modifications in 1909, her appearance is largely unchanged. Originally numbered No. I. Status: Undergoing overhaul and it is hoped to return her to 1905 condition. 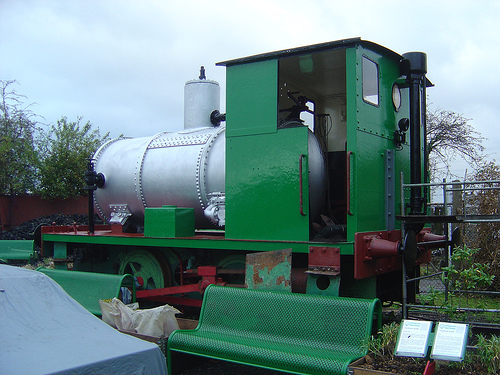 Boiler sent to North Norfolk Railway Engineering for overhaul in January 2015 – click here to see how work is progressing and how our latest appeal is progressing for the parts we need to complete ‘Premier’. Leader was built new for the line and was originally numbered No.2. Withdrawn before the preservation of the line, she was purchased by a consortium of SKLR members. She was overhauled and ran in service until 1981. Following an overhaul lasting over 30 years ‘Leader’ returned to traffic in 2012. Withdrawn shortly after the line was handed over for preservation, ‘Melior’ returned to service in 1993 after 23 years of work for which the SKLR won a Steam Heritage prize. Unusual in having modified Hackworth Valve Gear, her name (“made better”) may reflect this development in basic design. During the summer of 2012, ‘Melior’ underwent a scheduled ‘ten year’ overhaul and retube. The design of this class of locomotives is derived from the Kerr Stuart Baretto class loco ‘Superior’, supplied to the line in 1920. When the LCGB took over the railway in 1969 they decided to keep standard designs of locomotive so ‘Superior’ was sold to the Whipsnade Railway. By the time that ‘Alpha’ was built, the Kerr Stuart Company had closed, and some designs had been acquired by Bagnalls. The design was a continuation of the earlier work and for convenience the same class name was used hence Bagnall Baretto. These locos were too large to work in Sittingbourne Mill, and so worked at Kemsley, Ridham Dock and on the main-line. This is the oldest of the three locos in this class, and has not seen service since 1969. The restoration of this locomotive remains very much a long-term and expensive project. Status: Static exhibit until major overhaul can be financed. Requires new boiler, side tanks, rebuilt motion, injectors etc etc. Alpha is now located in the engine shed and is progressively being cosmetically restored by our young members. ‘Triumph’ had the honour of pulling the train at the ‘handover’ ceremony in 1969. She has been one of the stalwarts of the fleet. 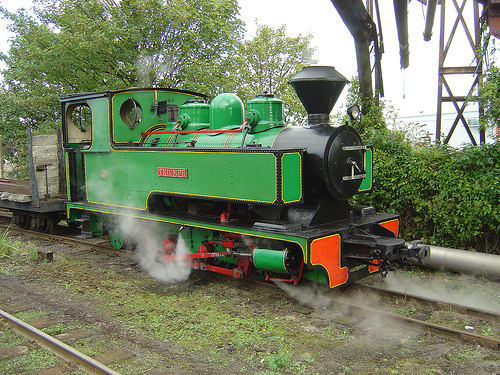 ‘Superb’ underwent a heavy overhaul, including boiler work and re-profiling of the wheels, returning to service in 2012. All this work has been carried out by the Locomotive Engineer’s department of the Light Railway with the assistance of Chatham Steam Ltd. 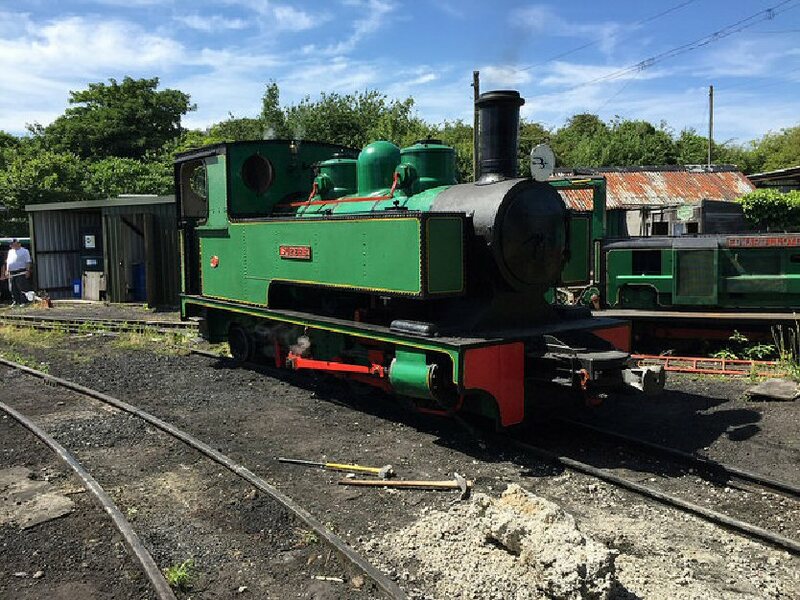 Following a visit to the Welshpool and Llanfair Light Railway in August/September 2017, Superb has been turned and now her chimney points towards Sittingbourne, the same as all the other steam locomotives. A reservoir on this loco held steam at 220 lb/sq in. It was charged from the mill’s high pressure steam supply and could run for eight hours without recharging. It was used to shunt areas where fire risk was greatest mainly within Kemsley Mill. Sadly, there is no longer a suitable steam supply available, so ‘Unique’ is unable to work, and remains a static exhibit. 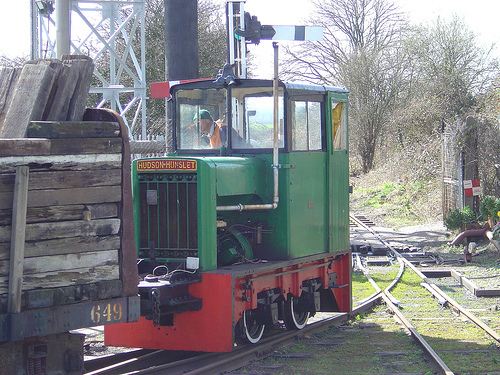 ‘Unique’ was built to a standard gauge design but with the wheels placed inside the frames to reduce the gauge to 2’ 6”. 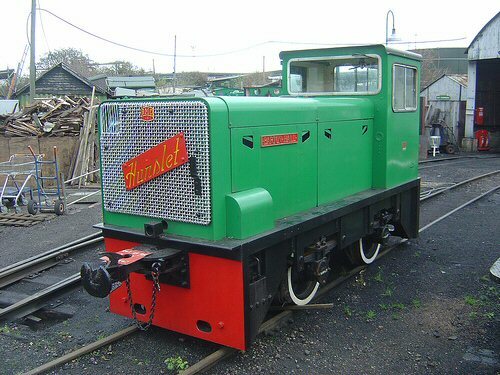 ‘Victor’ has long been the work-horse of the SKLR, working engineering specials and staff trains, and generally acting as pilot at Kemsley Down. 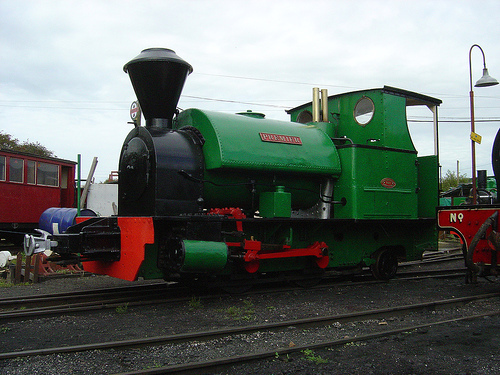 The name was inherited from a Bagnall 0-4-0 fireless locomotive scrapped in 1967. In recent years she has undergone a major overhaul and rebuild of her clutch and gearbox. Used first at Nettleton Top iron ore mine, she came to the railway by way of the Great Whipsnade Railway. She is named after the original owner of Sittingbourne Mill. This engine masquerades as ‘Ivor the Engine’ during special events related to the books by Oliver Postgate and Peter Firmin. 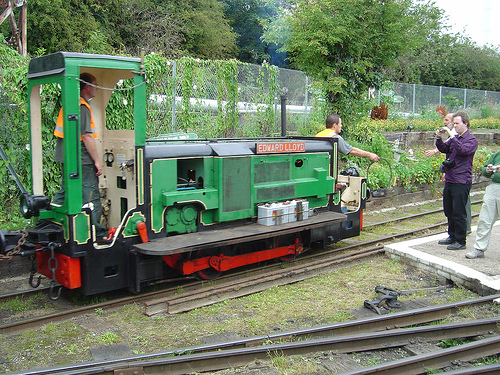 This engine came to the SKLR in 2004 from the Welshpool and Llanfair Railway. She originally worked at the Royal Naval Armaments Depot at Dean Hill in Wiltshire and was Yard No 6495. Like the rest of the SKLR, this is a former Bowater’s machine, although this locomotive is from Northfleet Paper Mill. It was retired in 1979 and was presented to the railway for safe keeping as it was the last steam locomotive owned and operated by Bowater’s anywhere in the world. ‘Bear’ came to the railway in August 1971 from storage at the Scottish Railway Preservation Society at Falkirk. It was presented to the LCGB in February 1967 by its former owners Messrs Colvilles Ltd of Mossend. 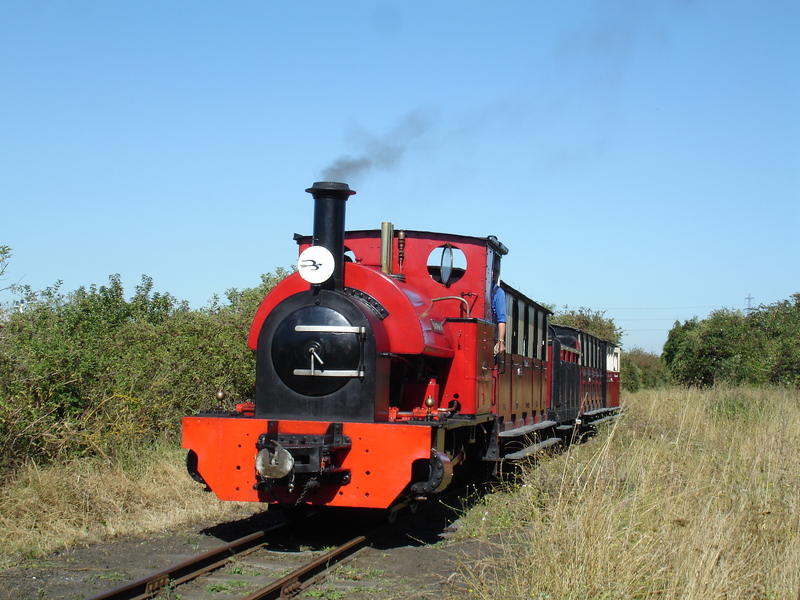 It is the oldest surviving standard gauge Peckett loco in England. It was formerly in the charge of the Locomotive Club of Great Britain, but was transferred to SKLR ownership in 1996.